Sarah Richardson, Keeper at Laing Art Gallery, discusses art by the Whitechapel Boys, including David Bomberg, Mark Gertler, Jacob Epstein, and Clare Winsten, with special reference to the Out of Chaos exhibition. The Whitechapel Boys (a name given them later by a writer) had a big impact on the development of British modernism just before and after the First World War. Their artistic vision looked towards European art movements, and they incorporated influences from artists such as Picasso and Cezanné into their work, experimenting with colour and form. 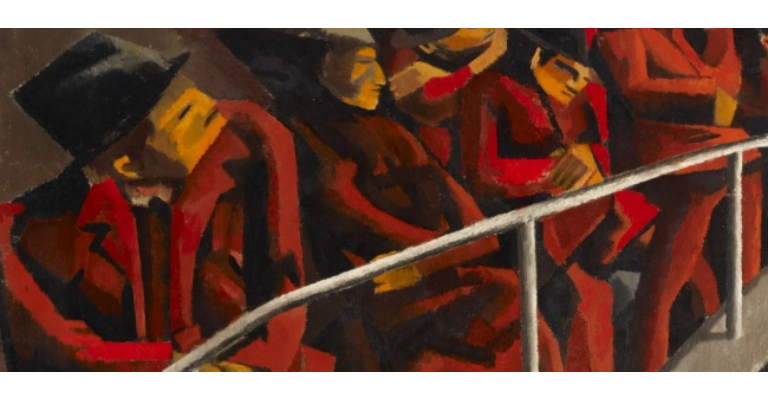 David Bomberg was one of the leading artists in this group of friends, who shared sense of cultural identity generated by their Jewish migrant backgrounds. They were closely associated with the Whitechapel area of London.